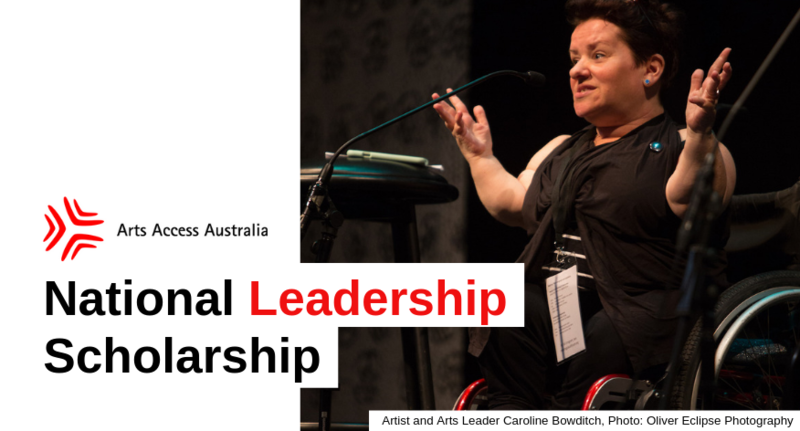 Designed to enable artists with disabilities to succeed in their profession, the inaugural National Leadership Award aims to support new and emerging leaders in the arts and disability sector. Evidence shows that artists with disability are less likely to find a professional career in the Arts in comparison to artists without disability, and if they do, they can expect to earn 42% less from their practice. (Fact Sheet: Disability and the Arts in Australia (doc, 48KB)). The Award will be one $10,000 Annual Award/Scholarship that will contribute to leadership training and development, together with a mentorship aspect to support employment outcomes. Judging will be by a panel made up of AAA personnel plus arts and disability sector representatives. The first award will be announced at Meeting Place 2019. Providing professional leadership training is expensive. Donate now to help fund this new leadership scholarship, and if you donate before 31 May 2019, Creative Partnerships Australia will double your donation through their Plus1 Funding program. The Australian and Berlin exchange project sets the stage to showcase Australian artists with disability and innovative learning opportunities between Australia and Germany.